Alan Ruck was born on the 1st July 1956, in Cleveland, Ohio USA, and is a television and film actor, perhaps still best known for his roles as Cameron Frye in “Ferris Bueller’s Day Off”(1986) and as Stuart Bondek in the TV series “Spin City” (1996-2002). Ruck’s career started in 1983. Have you ever wondered how rich Alan Ruck is, as of late 2016? According to authoritative sources, it has been estimated that Alan`s net worth is as high as $5 million, earned through his successful acting career, in movies and on both television and the Broadway stage, which has also improved his wealth. Alan Ruck was born to a father who worked for a pharmaceutical company, and a mother who was a schoolteacher. He grew up in Ohio where he went to the Parma Senior High School, and later studied drama at the University of Illinois, graduating in 1979. Ruck had his on-screen debut in 1983 in Rick Rosenthal’s thriller called “Bad Boys” starring Sean Penn and Reni Santoni. In 1985, he made his Broadway debut alongside Matthew Broderick in Neil Simon’s “Biloxi Blues”, and then he and Broderick teamed up again in John Hughes’ Golden Globe-nominated comedy “Ferris Bueller’s Day Off” (1986). The movie grossed over $70 million at the box office, and the role of Ferris Bueller’s hypochondriac best friend gained Ruck a lot of popularity as well as plenty of money. By the end of the ‘80s, Alan had appeared in the Primetime Emmy Award-winning action-drama called “Shooter” (1988), and in the comedy “Three Fugitives” (1989) with Nick Nolte and Martin Short. In 1990, Ruck had a smaller role in the Oscar-nominated Western “Young Guns II” with Emilio Estevez, Kiefer Sutherland, Lou Diamond Phillips, and Christian Slater. In the mid-‘90s, Alan played in an Oscar-winning action called “Speed” (1994) alongside Keanu Reeves, Dennis Hopper, and Sandra Bullock, and in “Star Trek: Generations” (1994) with Patrick Stewart, William Shatner, and Malcolm McDowell. Ruck’s most prominent role came in 1996 when he began playing Stuart Bondek in the four times Golden Globe-winning series “Spin City”, appearing in 145 episodes until 2002; thanks to the commercial success of the series, Ruck’s net worth increased significantly. In 1996, he appeared in Jan de Bont’s Oscar-nominated “Twister” starring Helen Hunt, Bill Paxton, and Cary Elwes. The movie was a major hit at the box office, grossing almost $500 million, and making it the most successful film Ruck has appeared in. In the 2000’s, Ruck had roles in numerous series and films, including “Cheaper by the Dozen” (2003) starring Steve Martin and “The Happening” (2008) with Mark Wahlberg, Zooey Deschanel, and John Leguizamo. Alongside Ricky Gervais, Greg Kinnear, and Téa Leoni, Ruck played in David Koepp’s comedy called “Ghost Town” (2008), maintaining his net worth. Most recently, Ruck has played in Christopher Neil’s comedy “Goats” (2012) starring David Duchovny, Vera Farmiga, and Graham Phillips. He also plays Henry Rance in the new Fox series “The Exorcist” (2016- ), so his net worth is still rising. 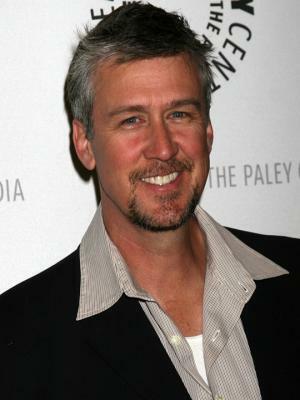 Regarding his personal life, Alan Ruck was married to Claudia Stefany from 1984 to 2005 and has two children with her. In 2008, he married actress Mireille Enos and has two children with her also. Ruck has residences in both New York and Los Angeles. 1 I grew up in Cleveland and started doing plays in high school. And I went to the University of Illinois, and I majored in drama. And after school, I went up to Chicago, because I didn't really know anybody in New York or Los Angeles, and I knew people who were doing plays in Chicago. 2 Nobody's ever gonna accuse me of being a singer, but I can sing. 3 'Spin City' was a really wonderful time for me. I made friends for life on that show. I made friends with Richard Kind, Michael Boatman, Barry Bostwick, Sandy Chaplin. We're all close. It was a really wonderful time. 4 I really enjoyed multi-camera comedy. You film in front of a live audience, and it's kind of the best of both worlds. It's like doing a one-act play every week, but if you screw your lines up, you get to do it over. 5 I did a musical that I don't think anybody ever saw, called 'One Shining Moment,' and in that cast was Megan Mullally and Kevin Anderson. 6 I moved from Chicago to New York in 1984 for 'Biloxi Blues.' In 1989, my wife and our then-baby daughter moved to Los Angeles to try to get in television. 7 When I'm doing a drama, I wish I was doing something funny. When I'm doing something funny, I wish I was doing something more serious. I think it's just human nature. 8 People would say, 'Boy, I really loved you in Ferris Bueller," and it would really aggravate me. I thought I was a one-trick pony, and people had seen the trick. Now that things have worked out and I've gone on to other things, I'm really pleased that people enjoy it. 9 I think multi-camera comedy is a much-maligned American art form. 1 He is of German, Irish, Scottish, and English descent. 2 His wife, Mireille Enos, gave birth to their second child, son Larkin Zouey, on July 23, 2014. 3 (February 12, 2014) Expecting his second child with his wife Mireille Enos. 5 Was considered for the role of Chet Donnelly in Weird Science (1985), which went to Bill Paxton. 6 With his role as Captain John Harriman in Star Trek: Generations (1994), he becomes the fourth commander of the starship Enterprise, joining Captains Christopher Pike, Robert April and James T. Kirk. 7 Probably best known for his roles in the 1980s along with the "Brat Pack": Bad Boys (1983) with Sean Penn and Ally Sheedy, Class (1983) with Rob Lowe, Andrew McCarthy and John Cusack; Ferris Bueller's Day Off (1986) with Matthew Broderick, Jennifer Grey and Charlie Sheen; Three for the Road (1987) with Charlie Sheen and Kerri Green; Bloodhounds of Broadway (1989) with Matt Dillon; and Young Guns II (1990) with Emilio Estevez, Lou Diamond Phillips and Christian Slater. He would go on to work with Phillips in Tales from the Crypt (1989) and with Sheen in Spin City (1996). Ruck will always be inextricably linked with the 1980s "Brats". 8 Alan's wife, Mireille Enos, gave birth to their daughter, Vesper Vivianne, on September 23, 2010. 9 Brother-in-law of Veronique Enos and Jongiorgi Enos. 10 Nearly died of septicemia in 2002. 11 Was nominated for a 1984 Joseph Jefferson Award for Actor in a Principal Role in a Play for "Billy Bishop Goes to War" at the Wisdom Bridge Theatre in Chicago, Illinois. 12 In 2005, he began playing Leo Bloom in the Broadway production of "The Producers". The role was played in the show's initial line-up and in The Producers (2005) by Matthew Broderick. Broderick was the titular character in Ferris Bueller's Day Off (1986), which co-starred Ruck as Ferris' best friend. 13 In his guest-starring role in Mad About You: The Glue People (1996), his character said he wants to be mayor of New York City. In Spin City (1996), he works as chief of staff for the mayor of New York City. 14 Has played Matthew Broderick's best friend in the original Broadway production of "Biloxi Blues", a relationship they repeated in Ferris Bueller's Day Off (1986). 15 Was 29-years-old when he appeared in the role of Cameron Frye, a high school student, in Ferris Bueller's Day Off (1986). 16 Received his Bachelor's degree in Drama from the University of Illinois. 17 Lives in New York City and Los Angeles, California. 18 Father, with Claudia Stefany, of son, Sam Ruck, and daughter, Emma Ruck. Three for the Road 1987 T.S.